Step by step instructions for rooting the device is clearly given in the Android forum post by victors1995. My device had no issues after rooting. You will see a new launcher called super user in your software list, which can be used to grant or revoke super user capabilities to other apps. I went ahead and installed Busybox free and Root checker basic. 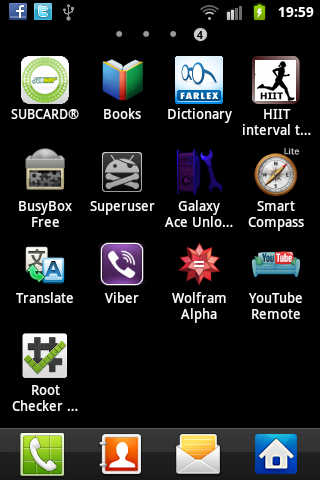 After rooting I also unlocked my phone from the network. NB: Do this at your own risk. Rooting may void the warranty of your device. If it helped share it with your friends. Feel free to comment about your experience.